About – MESF: Murdock Elementary School Foundation Inc.
Murdock Elementary School sits in the heart of East Cobb in Marietta, Georgia. In early 2004, a group of parents gathered to discuss County and State budget cuts in education and their impact on Murdock. The group suggested forming a foundation to offer Murdock parents and the local community ways to contribute toward enhancing curriculum and addressing capital needs of the school. The suggestion was met with overwhelming support by parents, teachers, and school staff. Soon after, the Murdock Elementary School Foundation, Inc., (MESF) was formed as a not-for-profit 501(c)(3) corporation. The Foundation is managed by a group of committed parent and teacher volunteers which make up our thirteen person board of directors . Board meetings are held monthly and are always open to the Murdock community. We have an excellent reputation, stellar faculty and were named a Georgia Platinum School of Excellence in 2006. Our Mission is to provide resources that will enhance the learning environment and educational opportunities of the students at Murdock Elementary School. To help each child achieve their personal best. To attract and retain top teachers and staff. To help our students remain competitive locally, nationally and globally. Since our founding in 2004, MESF has achieved its goals through a simple formula of raising funds via the Murdock community and investing 100% of those dollars back into the school and our students. A common question at Murdock is what is the difference between PTA, MESF (The Foundation) and School Council? 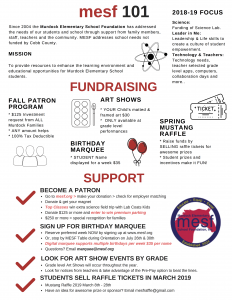 Through your membership, PTA supports Murdock by providing supplies and volunteers for various programs, events and activities held around the school . School Council brings the Murdock community, parents and administration closer together into the decision making process for the overall good of Murdock. 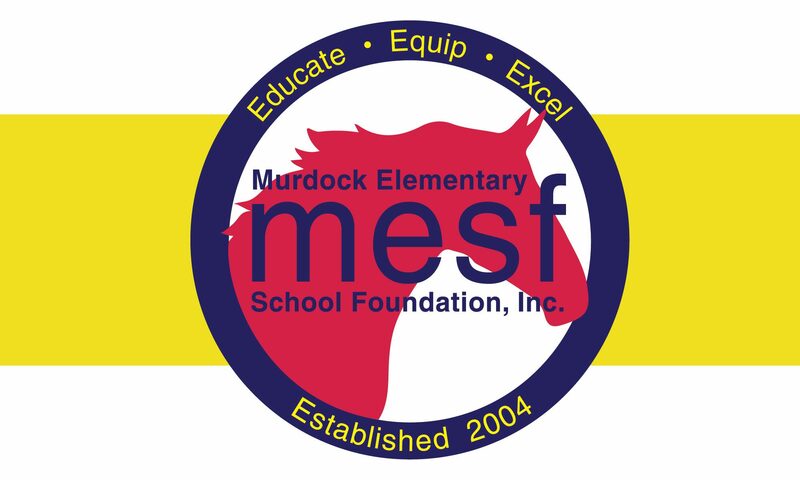 MESF, is the fundraising arm providing substantial educational enhancements and programs for all of Murdock that would otherwise NOT be available. Click here to learn more about how these 3 groups of parent volunteers work together as ONE team!